Presenting a French champagne brimming over with personality. A wine characterised by outstanding strength and power, created from a blend of Meunier, Pinot Noir and Chardonnay grapes. The traditional golden colouration is immediately welcoming, bringing with it fruity sensations of raspberry and peach. A well structured performance on the palate, where the unmistakable aroma of the Pinot Noir grape asserts itself. A wine for true connoisseurs. Aubry: the embodiment of French Champagne tradition. Pierre and Philippe Aubry, descendants of a wine-growing family active since 1790, have revived and revitalised their family's centuries of productive experience, launching a company which has quickly established itself as one of the most renowned and revered creators of French Champagne. 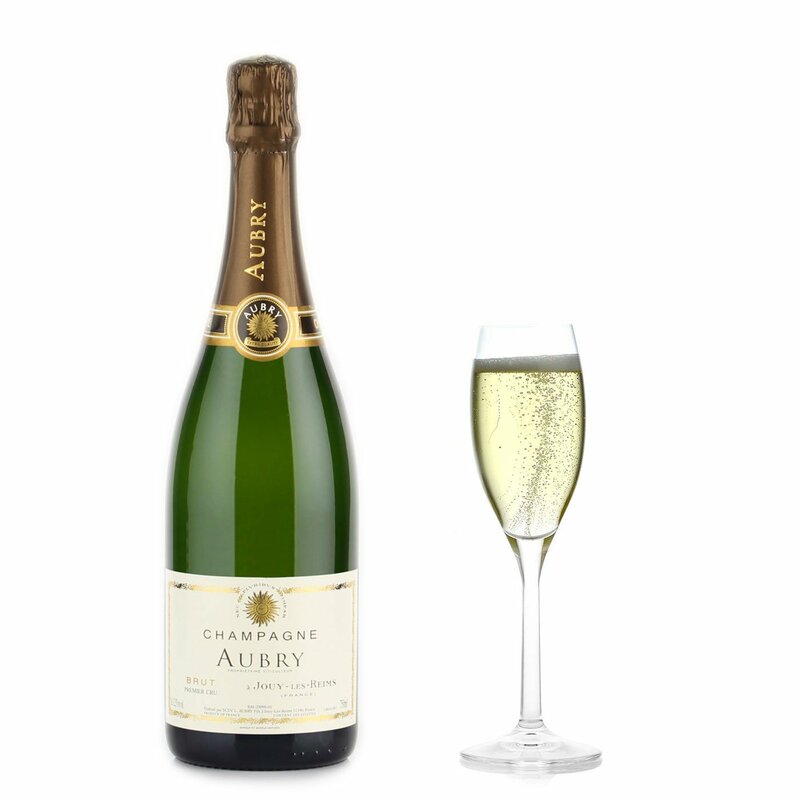 In their beautiful vineyards near Jouy-lès-Reims, the Aubrys have opted to combine classic tradition with originality. They have actually always been guided by a philosophy based on the cardinal principles of rigour andrespect for tradition combined with originality and creativity, a finely judged balance always appreciable in all the company's wines.